Cats were seen being thrown from a vehicle Saturday and animal control is looking for the public’s help in catching the suspects. 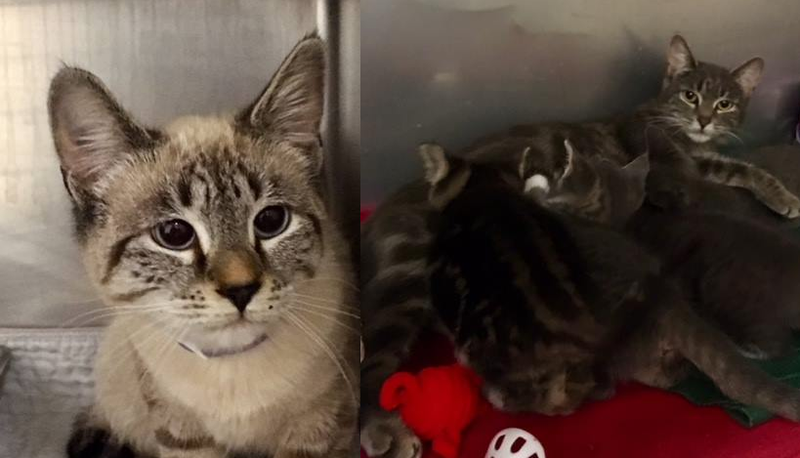 According to Providence Animal Control, at around 12:30 p.m. Saturday, a call came in regarding found cats. Upon arrival, witnesses told PAC’s ACO that they observed a bag being tossed from a car in front of them and that what was in the bag was unclear. The witness stated that when they opened the bag, they were shocked to find 2 adult cats and 4 kittens. The witnesses were unable to obtain a license plate from the vehicle as they were very concerned with moving the cats to a safe space. If you or anyone you know recognize these cats or witnessed the events stated above, please call the PAC at (401) 243-6040. The cats were picked up from Dedham Street but unknown if that was where the abandonment took place. The cats are clean and appear to be well cared for. The 2 adults were wearing flea collars.